Fully furnished and equipped kitchen. Set back off the Super Highway behind Wat Jed Yod, this is a terrific location for being near to all that Chiang Mai has to offer yet just tucked back enough to enjoy without all the hustle and bustle. 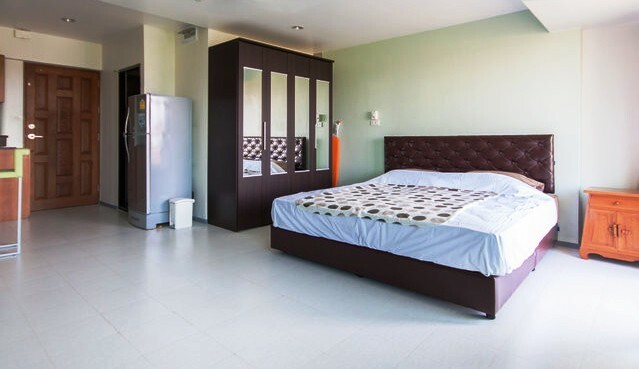 CR353- Condo for rent in Chiangmai Thailand. 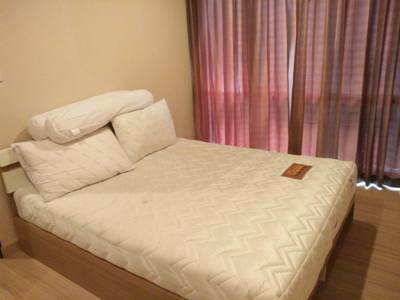 Brand new renovated studio for rent in Chiangmai .,fully furnished including kitchen, shower, air-condition, Flat TV , microwave, fridge, wardrobe, comfortable sofa, coffee table, water heater, bed and mattress. Located near Rincome intersection . close to Maya,Nimmahaemin ,CMU and super hightway. CR415- Condo for rent in Chiangmai Thailand. 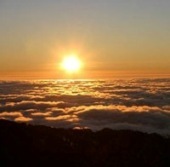 is located in the South Eastern area of Chiangmai. It is located along the charming banks of the Ping River. Just 1.5 km from the busy central old city of Chiangmai, making it perfect location for those who wish to access the city. The condominium includes an array of of luxury amenities, including pool, sauna, large lobby, laundry and 24 hour security. This individual 46sqm condominium has recently been renovated to a high standard with up-to-date design providing 1 bedroom, loung/dining area and modern kitchen equipped with hob, microwave, convection oven and fridge. Other inclusions two ceiling fans and aircondioner, LED TV, home theater and personal safe cooking utensils, blender, electric kettle and rice cooker. Internet is available by buying an access card from reception. CR620- Condo for rent in Chiangmai Thailand. 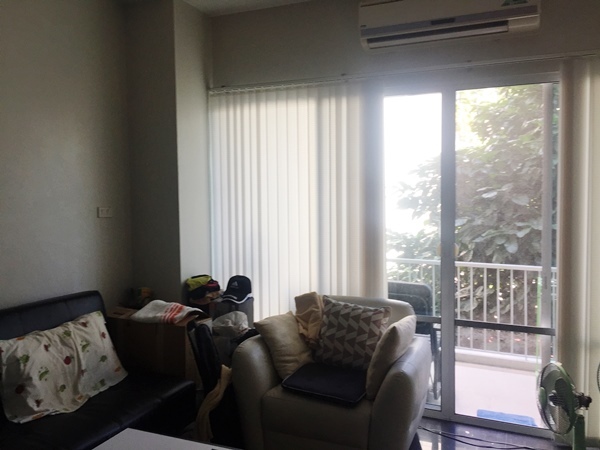 Condo for rent locate at Mahidol Rd. T.Chang Klan, Muang, Chiangmai. 1 bed 1 bath 1 Kitchen 1 living room with Built-in furniture, Parking, 24 hour Security, Club House and Swimming Pool. Near by Art in Paradise, Shangri-La Hotel, Holiday Inn Chiangmai, The Empress, Chiangmai Night Bazaar etc. The best Location condominium with reasonable price. Available for you to start your city lifestyle. Easy access to all destinations. Size: 29.76 sqm. 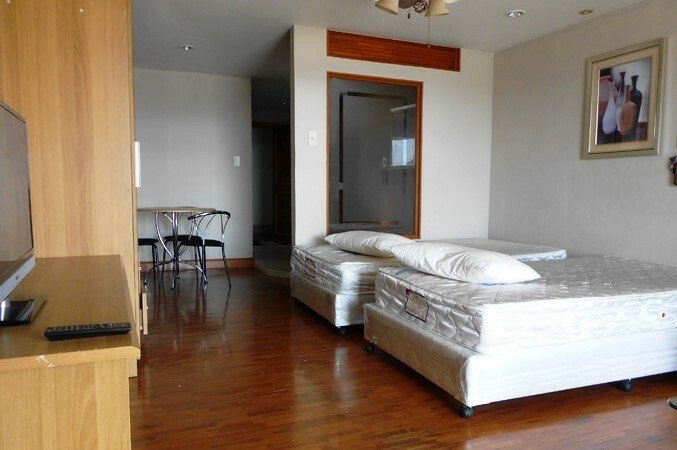 Price for Rent: 11,000 THB/month ,Air conditioned, Hot-Water, fully furnished. Facilities include: Parking, Internet and cable tv, cctv, Club House, Swimming Pool and 24 hour security. CR185- Condo for rent in Chiangmai Thailand. 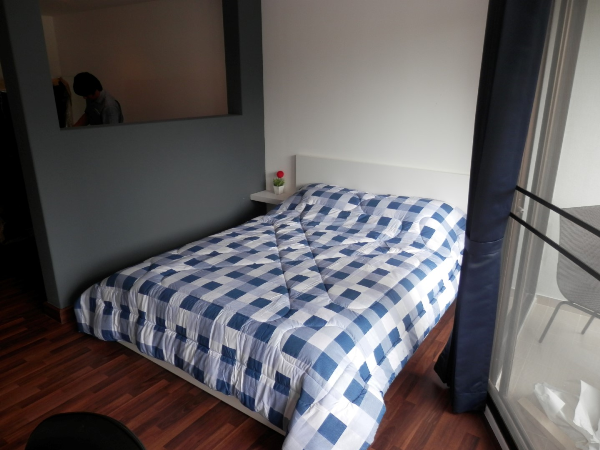 Newly renovated Studio (45 sqm.) situated on the 12Ath floor Condominium. Large balcony overlooking Huay Keaw Road with 180 degrees city views from Central Kad Suan Keaw to Doi Suthep. The Studio also overlooks the Complex swimming pool and is within 300 m. to the vibrant Nimmanhaemin Road. Short distance to Shopping Centre, Cinemas and Chiang Mai Ram Hospital. 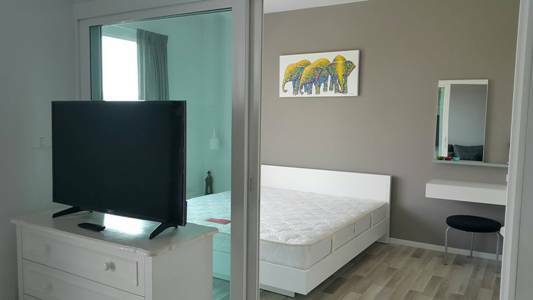 Fully furnished with Air-Con, bed linens, kitchen equipment, crockery & cutlery, dinning /work table, 42 flat screen TV, DVD player, bedside reading lamp, comfortable armchairs, with spacious wardrobes and cupboards. Condominium features swimming pool, Fitness Centre, restaurants/coffer shop, internet cafe, mini-mart, massage/spa, laundry service and 24 hours security. For 12 (or more) months lease minimum is acceptable. The rental price 11,000 Baht/month. The common area fee included. CR191- Condo for rent in Chiangmai Thailand. A very beautiful Condo for rent in City Chiangmai. Studio room with good view over , This is a new renovated room , Swimming pool, View over Ping River and Doi Suthep. All INDEX new furnitures. Western kitchen with microwave, oven, Induction Cooker, double-door refrigerators. And King size bed with pillows and quilt, ceiling fans, Toshiba 40-inch television. Solid wood dining table, sofa, Mitsubishi air conditioning. 11,000 bath /month for 6 month up. 12,000 bath /month for 3 month up. CR192- Condo for rent in Chiangmai Thailand. 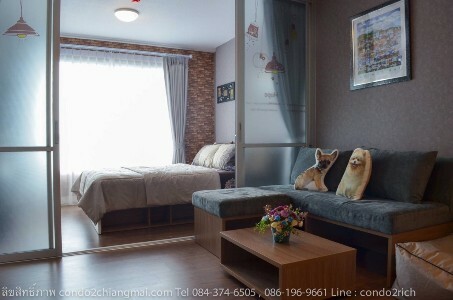 CR386- Condo for rent in Chiangmai Thailand. CR395- Condo for rent in Chiangmai Thailand. 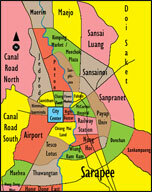 Condo is located in the South Eastern area of Chiangmai. It is located along the charming banks of the Ping River. Just 1.5 km from the busy central old city of Chiangmai, making it perfect location for those who wish to access the city. 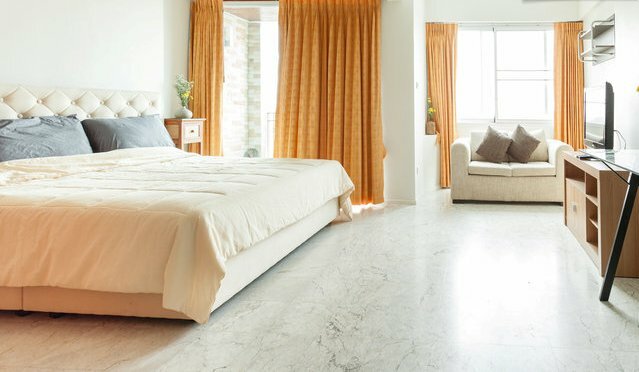 The condominium includes an array of of luxury amenities, including pool, sauna, large lobby, laundry and 24 hour security. This individual condominium has recently been renovated to a high standard with up-to-date design providing 1 bedroom, loung/dining area and modern kitchen equipped with hob, microwave, convection oven and fridge. Other inclusions two ceiling fans and aircondioner, LED TV, home theater and personal safe. CR447- Condo for rent in Chiangmai Thailand. Newly renovated in modern style, with modern furnished and large balcony. fully furniture. Located near Nimman Rd. restaurants and new shopping malls Maya. 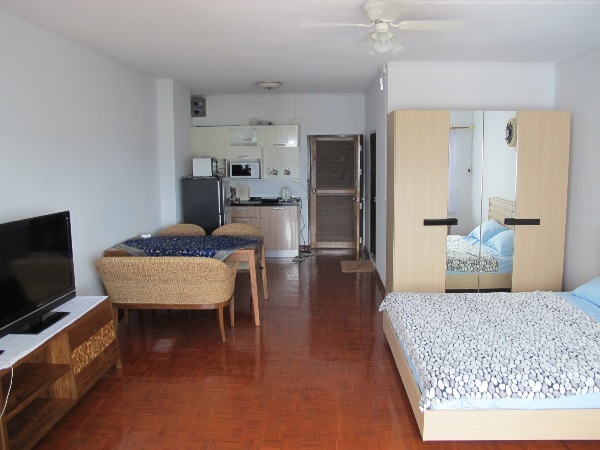 CR478- Condo for rent in Chiangmai Thailand. Condominium for rent in Chiangmai, with City View. 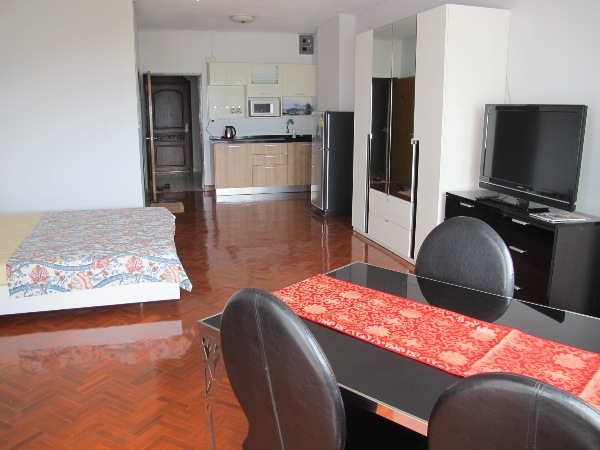 CR610- Condo for rent in Chiangmai Thailand. Condo to rent in Chiangmai located at Mae Hia, you are just minutes from Big C and Makro, numerous restaurants and cafes and just 10 minutes from Chiang Mai Airport. This furnished condo comes with kitchen area with fridge freezer and microwave, extendable dinning table, comfortable sofa, coffee table, tv unit complete the main living space; the bedroom includes built-in storage; the small balcony houses a front loader washing machine. Wake up to this delightful view from this rooms. Enjoying lovely mountain views. 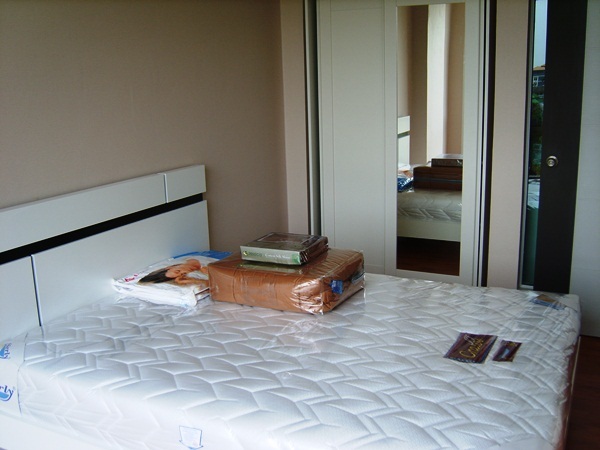 Size : 35 sqm 1 Bedrooms, 1 Bathrooms, Furnished , Air -conditioned , Floor : 4th. Facilities: Key card, Elevator, 24 hour security system,CCTV,Car parking. CR613- Condo for rent in Chiangmai Thailand. Condo for rent Well designed and decorated. with the balcony Fully furnished and equipped. 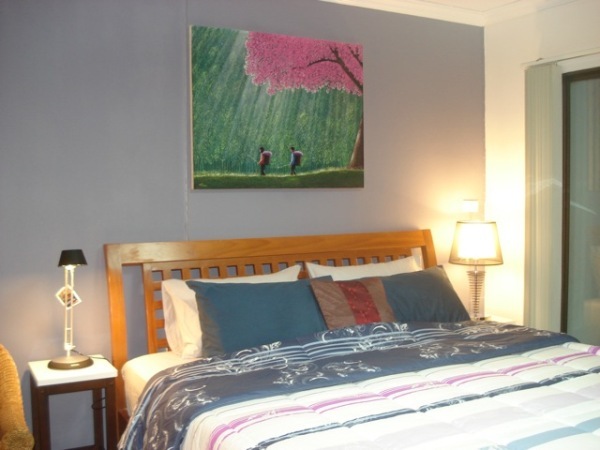 with 1 beds,1 baths, entry-security with Key card, CCTV, lobby, car parking. Close to Wachiravit School, Payap University , Big-C, hospital,Central festival, drug store, convenience store, etc. CR372- Condo for rent in Chiangmai Thailand. 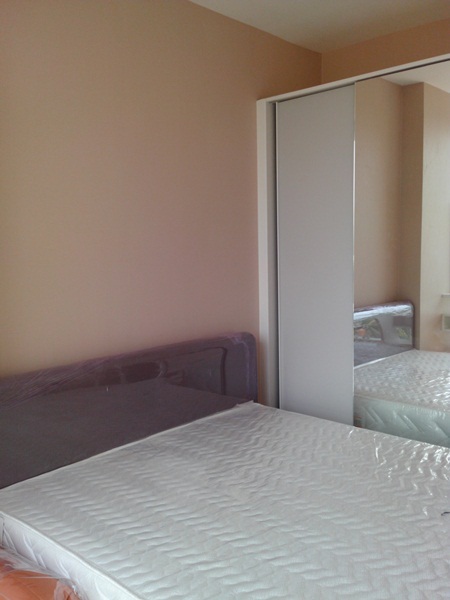 Brand new renovated studio for rent . With a balcony facing mountain view, this spacious studio is on the 3rd floor. In an older building just 50m from the Superhighway Rd/Huay Kaew intersection . Fully furnished including full western kitchen,rain shower, air-condition, 42 inch TV , microwave, fridge, wardrobe, comfortable sofa, coffee table, water heater, bed and mattress .